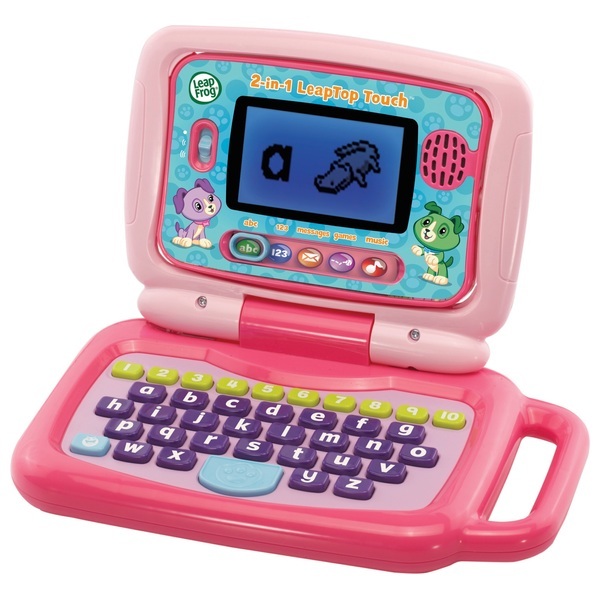 Play and learn with the 2 in 1 LeapTop Touch Laptop in pink. The 2 in 1 LeapTop Touch Laptop allows children play on full a-z and 1-10 keyboards and easily switch between letters, messages, games, music and new numbers modes. They will explore the alphabet and animals with the keyboard keys, play games to learn fun facts about animals and exchange emails with Scout and Violet with the 2 in 1 LeapTop Touch Laptop.